This page provides information about the provision of services for people with a learning disability at The Dudley Group NHS Foundation Trust. 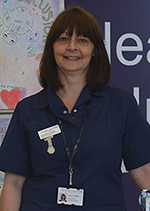 We aim to deliver high quality, person-centred, safe acute hospital services for people with learning disabilities, and to support this, the Trust have a dedicated senior nurse Jacqui Howells, Learning Disabilities Liaison Nurse. Her recently introduced role has helped to improve the Trust’s provision for patients with learning disabilities and their families, making it easier for patients with learning disabilities to access hospital services. 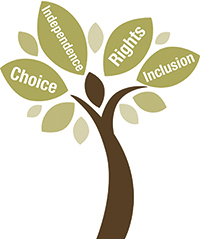 The new post also gives patients with learning disabilities an advocate to offer advice and guidance, not only to the patients themselves, but also to the staff involved in providing their care. Plan for admission, treatment and discharge. Provide specialist advice, and guidance on the provision of reasonable adjustments to ensure fair access and outcomes, and the management of complex or difficult situations. Offering first and last appointments or double appointments. Providing food and drink for family members or carers. Providing beds or chairs for family members and carers. Using a Hospital Passport to share information about the patient and their health. Providing accessible information (such as easy read information sheets, a hospital communication book, photographs, signs and symbols, and jargon-free language). Ensuring effective care that involves the patient and their family/carer in the decision-making process around treatment and discharge. Easy Read leaflets are available from Easy Health here.